Helping you live a yogic life. Twice each week we post new blogs about postures, anatomy, history, modern science and what's going on in our personal practices. Tune in! Beginning, Intermediate and Advanced practice manuals that describe the intention and execution of every posture. Plus historic publications from Bishnu Ghosh, Buddha Bose & Dr. Gouri Shankar Mukerji. Deepen your own yoga practice and learn to teach others how to increase health and peace at Ghosh Yoga Teacher training. A profound experience that combines an ashram-like immersion with lectures and practice. Learn asana, pranayama, sequencing, seeing, teaching, exercises and much more! ​2019 training begins on May 6. Join us for Practice Week, 7 days of intensive and progressive practice. Each day consists of two asana practices, including Intermediate and Advanced postures, plus Pranayama, Meditation, therapeutic exercises. We will also discuss postures, practices, history and theory. 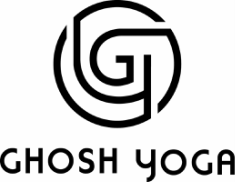 Learn therapeutic yoga at Ghosh's Yoga College in Kolkata, India. This 3-week training is lead by Muktamala Mitra, granddaughter of Bishnu Ghosh. Live at Ghosh's College in the heart of North Kolkata.